My wilderness encounter list (available here) came in handy. The party encountered bandits, dressed as clerics. It made initial sense because, in downtime, the curate at the Keep ran the traveling priest and his acolytes out and the party thief had tracked them. The bandits wound up getting beat with a quick Sleep spell. In looking for a new NPC to help them, the PCs managed to find an elf (as per the notes in the tavern of a wanderer) coming along with a merchant group. The elf knew the Sleep spell that came in handy, and when facing the kobold chieftain managed to use the Wand of Paralyzation (and in so doing identify it in the breach). The thief, who had not used most of his skills in four prior sessions, got to move silently, backstab and open locks - all successfully. The first two did a lot to take out the ogre, but once wounded the ogre batted one of the party henchmen, baseball-style, with a massive club. He was knocked directly into a tree branch and died. Another henchman bit the dust at the hands of one of the kobold chieftain's harem. The kobold chieftain is kind of living the pimp life. Huge piece of bling around his neck, five kobold women - wow. It's a very profitable encounter, beating both the hobgoblin and goblin chieftains for money. But not getting slaughtered on the way in took some doing. After one henchman fell in the pit, a TPK was likely if the PCs held their ground. They wisely retreated to the mouth of the cave and beat the kobolds there, then picked off rats - who were not rushing in to fight - from a distance. Good tactics, no dead PCs. The kobold cave was a lot of fun to run. It was good that the PCs went to it after several other caves and had some idea of what to do tactically to win. I'm wondering what I want to do with the factions, since there have been two deprived of leadership (kobolds, hobgoblins) and two removed (goblins, ogre). But I have a couple of weeks to make the power vacuums interesting. The module's gotten interesting. I'm also starting to think about that point every B2 referee comes to - the eventual follow-up to B2. I had been thinking of Caverns of Thracia but it is another faction dungeon. What levels are the PCs. 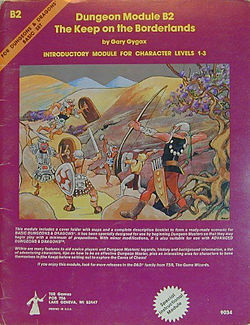 I always thought that was a very difficult module for a bunch of first level PCs. We have been very fortunate to all end up on the right side of probability rolls when it has come down to trading blows. Well, not all. One PC and two retainers out of five trips to the caves have been killed while assaulting monsters in their lairs. It is just a matter of time before we are slaughtered by the gods of probability. Unfortunately I have not been able to pry any different angle out of the adventure than to directly assault the caves with as much muscle as I can muster. Next game I'll try and hire a bunch of dwarves and start walling up these caves a la Cask of Amintollado. Maybe I can just starve the inhabitants to death. It isn't that difficult. 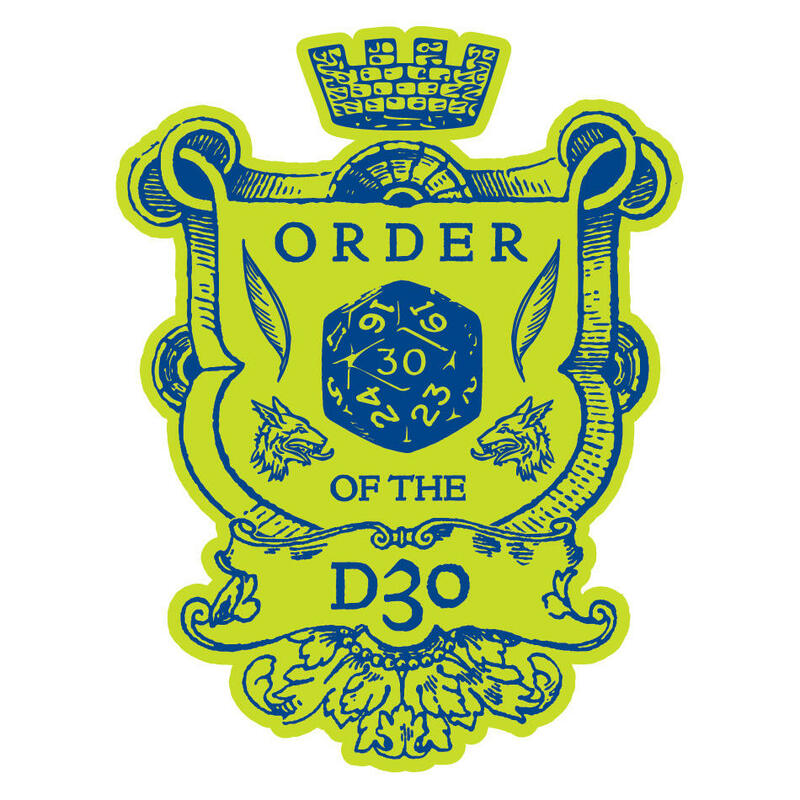 If the PCs are clever and the DM doesn't let the dice ruin the game or go all-out to kill the PCs, they can cope with it without too much difficulty. It's a good old hack-and-slash adventure, and the PCs can always go back to the Keep if they get beaten up too badly. An account of our game is at hoagys2.blogspot.co.uk for anyone who wants to read it. What do you mean "identify in the breach"? For the Caves, there are several options: alliances between various factions for defense against the invaders; powerful factions taking over, enslaving, or even slaughtering, the leaderless ones; restocking in the form of wilderness monsters wandering in or reinforcements being called; exiled chieftains being recalled now that the usurpers are dead; traps being laid, ambushes set; etc. etc. 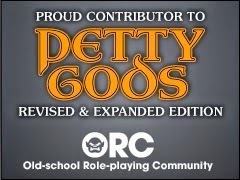 As for moving beyond the module, this might be a good time to start stocking a wider region with adventure locations and letting the PCs hear rumors (or find other plot hooks) about them so they can think about where to go next. Aside from whatever modules you own or pick up, websites like Dyson's Dodecahedron and the One Page Dungeon contests are a great source of maps, pre-stocked and blank, to scatter around. I mean - they found out what the wand was by having the elf point it and activate. That took out the kobold chieftain. I am agreed on expanding the area sandbox-style and am looking at several things, including the DMG sample dungeon and doing a Cave of the Unknown. It's interesting how similarly our independent campaigns are unfolding - my group has also tackled the goblin, ogre, hobgoblin, and kobold caves. The ogre was even backstabbed by one of the thieves, and killed a few adventurers (a PC and an NPC) with his club. It's amazing how quickly a successful group comes up with good tactics. Not sure which cave they'll head to next, though. I agree about the relatively desolate wilderness. 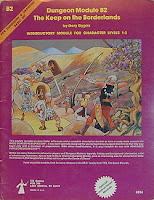 For that as well as for restocking the caves I am referring to the 2e sequel by John Rateliff for ideas. I'm also preparing my own version of the Cave of the Unknown for when they finish the caves. I was the thief in this adventure. One thing I've noticed is that the monsters in the module put doors on all the rooms that house the treasure. That really makes it easy to find the monster king and his treasure. I think we went into the kobold den and only killed 7 kobolds, the king and three of his five harem. There are two things that I think would improve the game. Firstly, if all the monsters a language the players could understand, there'd be more room for negotiation. As it was, we really had no way of talking to the kobolds so, in effect, we were forced to kill them. I wanted to ask them where the evil cleric was hiding (as we tracked him headed there from the keep). Also, if monsters didn't have infravision and used torches to light their lair, my thief would be much more useful. As it is, I can't see in the dark so I can't really scout ahead or sneak around. However, my group came up with an interesting tactic they haven't actually used yet - namely, for the thieves to scout ahead while the magic-user sends dancing lights in front of them. The dancing lights mess up the monster's infravision, and may give the thieves enough shadows to hide behind in corners or within an alcove as they dart ahead. If monsters are discovered, the magic-user can recall the dancing lights, and the thieves might get an opportunity to backstab once the main party engages their opponents. The layout of the caves of chaos with the multiple corners, alcoves, and branching passageways may allow them to pull this off - we'll see. The First OSR Compatible Product!